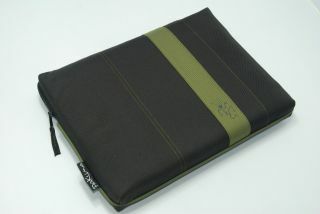 Pakuma is launching a new range of eco-friendly laptop bags made from recycled materials. The outer and lining materials for these Eco Cocoon sleeves are made from recycled plastic bottles. The interior foams, which ensure your shiny new MacBook never gets dinged or scratched, are also recycled. Finally, all the packaging uses recycled paper and is printed using Soya ink. And if you really don't care too much about preserving our planet for your grandchildren, you might still be sold on the fact that they look awesome, too, and cost only £12.99 through to £19.99 (depending on the size of your lappy). Find out more at http://www.pakuma.com.